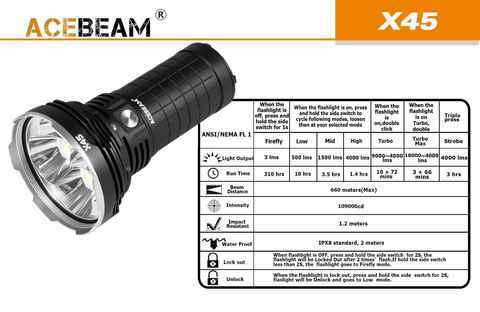 Acebeam X45 is an absolutely amazing flashlight. 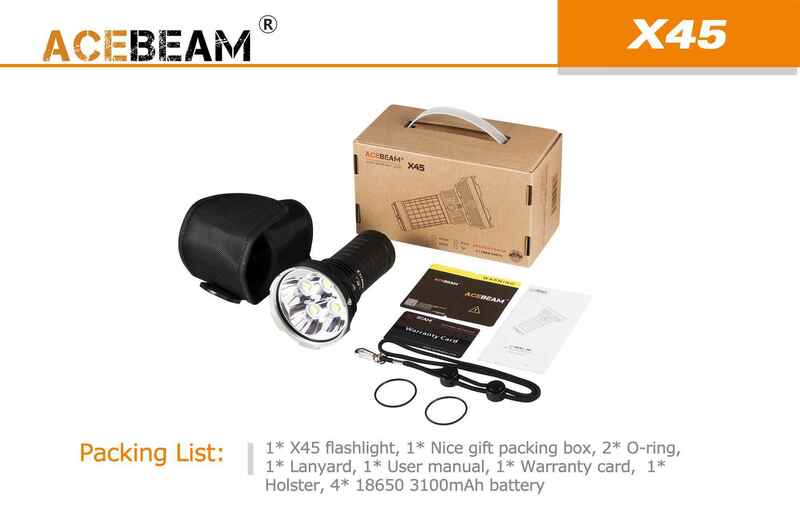 It powered by 4*18650 High Discharge IMR batteries(Included) and utilized 4*Cree XHP70.2 P2 LEDs,super high output reaches 18000 lumens and ultra-long distance goes 622 meters. 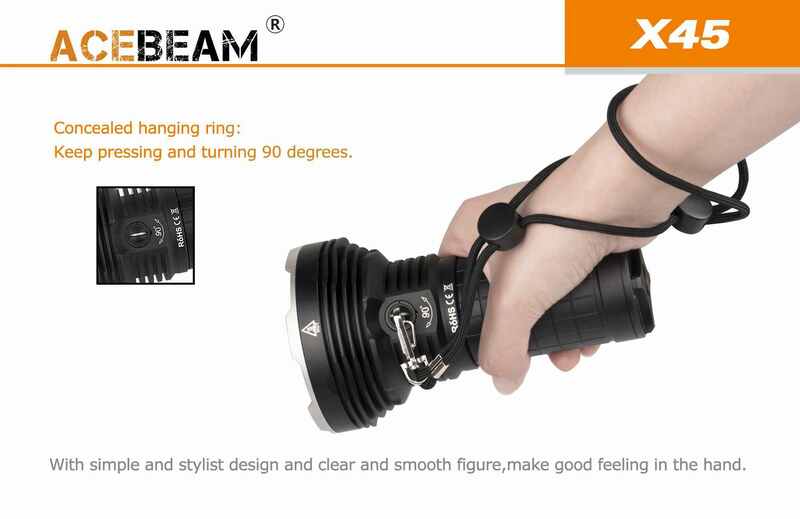 The side switch is controlled all functions through easy one-handed operation. 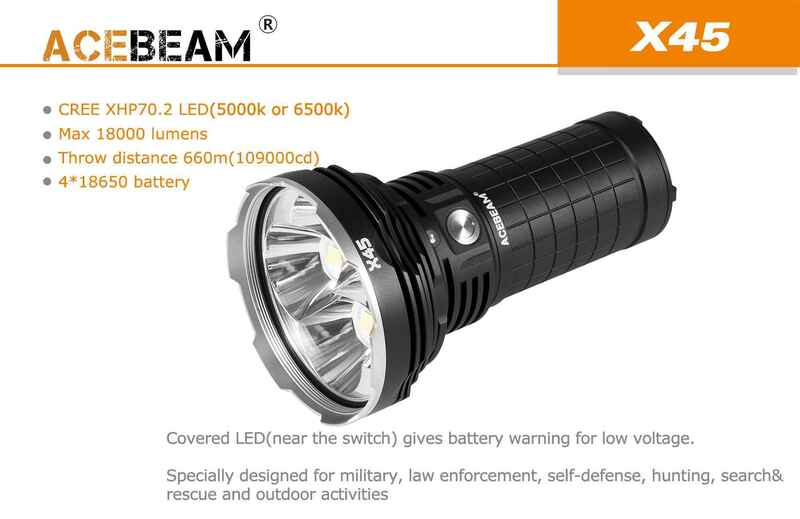 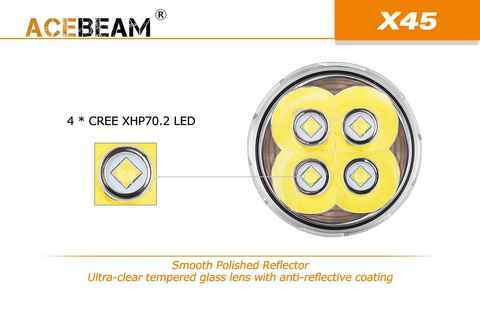 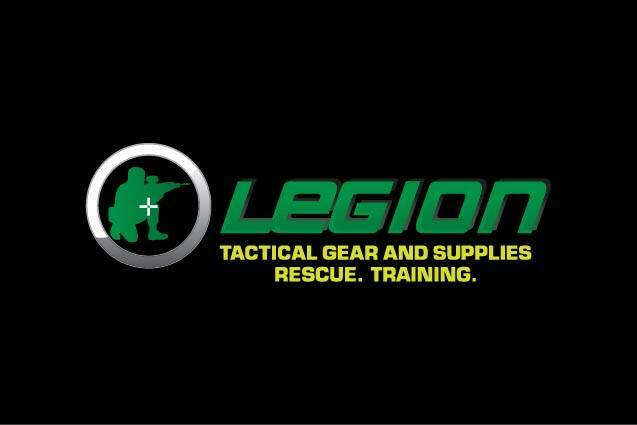 X45 is the brightest light in Acebeam&apos;s brightest line, widely used in many fields such as search and rescue,camping,hunting and self-driving. 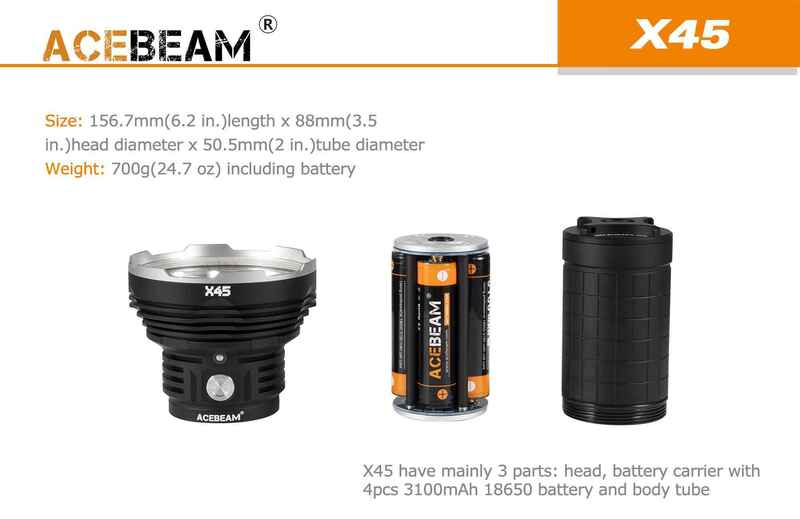 X45 will become your invincible companion and bring you unparalleled outdoor illumination experience.